Dr. Jie Chen holds the named professorship, William Borah Distinguished Professor of Political Science, and serves as Dean of the College of Graduate Studies at University of Idaho. Before joining University of Idaho, Dr. Chen served as Chair of the Department of Political Science and Geography at Old Dominion University. He also holds the titles of the Changjiang Scholar Chair Professorship and Zhiyuan Chair Professorship bestowed, respectively, by the Ministry of Education, PRC, and by Shanghai Jiaotong University, China. He was a Fulbright Scholar conducting survey research in China, and a residential research fellow at the Woodrow Wilson International Center for Scholars. 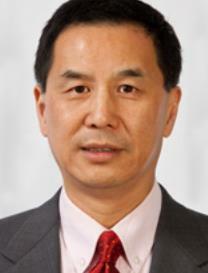 Dr. Chen has authored and co-authored six books on Chinese politics and U.S. foreign policy. His most recent and forthcoming books include Popular Political Support in Urban China (Stanford University Press, 2004), Allies of the State: China’s Private Entrepreneurs and Democratic Change (co-authored with Bruce Dickson, Harvard University Press, 2010), and A Middle Class without Democracy: Economic Growth and the Prospects for Democratization in China (Oxford University Press, 2013). He has also authored and co-authored many refereed articles on contemporary Chinese politics, which appeared in scholarly journals, such as Journal of Politics, Comparative Political Studies, Public Opinion Quarterly, Social Science Quarterly, Political Research Quarterly, the China Quarterly, Asian Survey, Modern China, and Journal of Contemporary China. Do the middle classes in authoritarian, late developing countries support democratization? Among scholars, there seems no clear consensus on this question. To fill this gap, this article examines the case of the middle class in China, based on data collected from a probability-sample survey. The findings from this study indicate: (1) the middle class does not necessarily support democratization in authoritarian developing countries,(2) there is a negative correlation between the middle class’s dependence on the state and its support for democracy, and (3) the middle class’s perceived social and economic well-being is also negatively associated with its democratic support.